I think one of the BIGGEST misconceptions is that we're DOOMED once we get that diagnosis. Is it going to take some work and lifestyle changes? Yeah totally! But it's sooo doable, trust me ... I know. The first step? Shift your mindset ... yup, you heard that right. I made a public proclamation on Instagram a few years ago with my personal statement and mind shift. Um, no ... nobody's perfect, and I'm only human. Come to find out, a combination of factors led to this diagnosis: genetics, long-term use of birth control, and extreme and unnecessary stress were the main culprits. 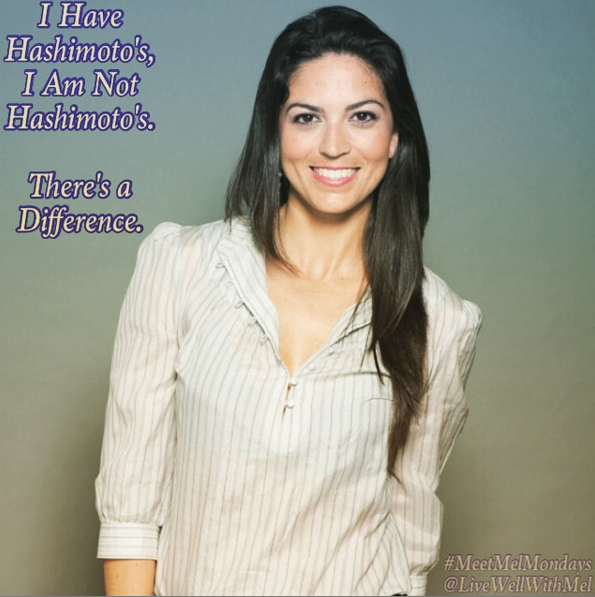 So yes, when I get a flare up and a whole set of symptoms kick in, I tend to blame it on the Hashimoto's. I may get cold when it is 70 degrees outside. I may feel so exhausted that I can hardly keep my eyes open even after 10 hours of sleep. I may get acne on my face and back. I also blame this disease when I can't enjoy pasta or bread from Olive Garden or when losing weight is harder than it used to be. The list of symptoms may sometimes seem endless, but I don't let them defeat me or define me. Before my diagnosis, I thought I was just depressed because of life's circumstances or that maybe I was just getting old. But once I learned the real reason for these symptoms, I stopped making excuses to give up and I decided to simply work a little harder. I faced Hashimoto’s head on and set out to do extensive research. As a result, I am able to control it naturally: no medications, eating the right foods, exercising regularly, and getting proper rest. While I understand that some people may absolutely need medications, I believe that not everyone does. Knowing what I know now, it bothers me when people use ‘it’ as a crutch to accept their unfit and unhealthy lives. A misbehaving thyroid doesn't mean you're doomed. Believe me, I've been at the best and worst ends of having Hashimoto’s.